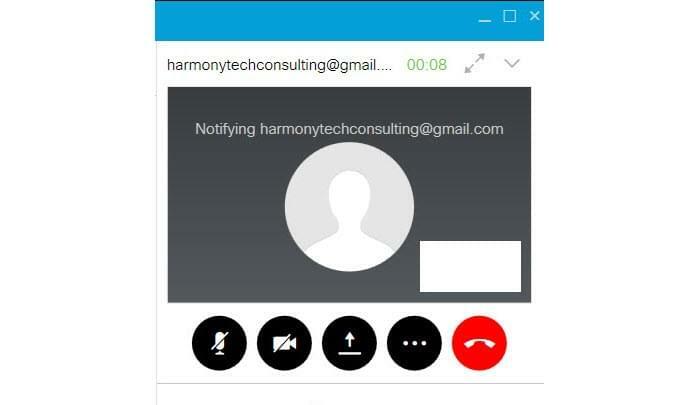 Free app for business IM and videoconferencing that works across mobile, web and desktop. Not as full-featured as Cisco’s WebEx for videoconferencing. Requires premium WebEx account for full WebEx/Spark integration. What differentiates Spark from WebEx is its Instant Messaging with unlimited participants and the ability to create virtual meeting rooms. If you don’t care about those two features, you’ll likely find WebEx of more value. Can give control to others of your shared desktop. Can only attach files, can’t collaborate within app. Can’t make video calls in browser version. Cisco Spark is a new team collaboration app that lets teams work in virtual rooms. Within these rooms, team members can instant message (either in groups or one-to-one), share files and make video calls. 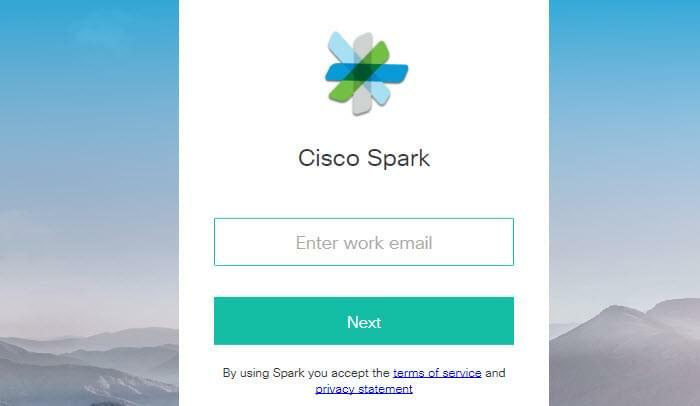 Available as a free download, Cisco Spark can be downloaded for mobile use (iOS, Android and Windows Phone), as a desktop app for Mac or Windows, or you can just sign in and use it via a browser. Once you create a room, you can send invites to people to access your room. Something I discovered while testing; video calls are not yet supported in the browser version. I downloaded Spark for Windows which does support video conferencing. 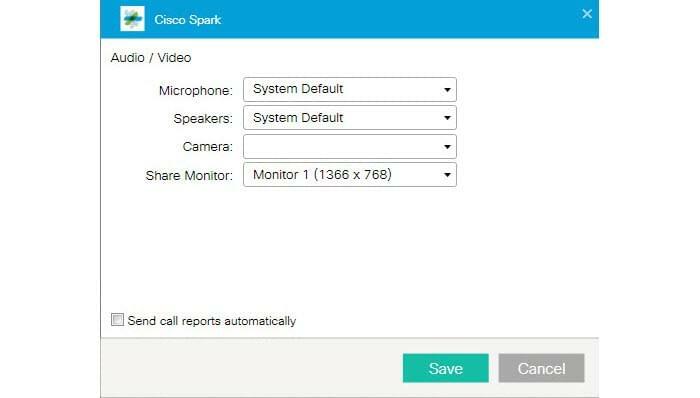 Spark integrates with Cisco’s WebEx for conferencing. You can use the same sign-on for both. There are a few caveats to this integration which I will get into in a bit. The first task in Spark is to add a room. Next, you add people to the room by entering their email address, a notification is sent to them indicating that they have been invited to the virtual room. Room names default to the email of the first person you invite. For example, I sent an invitation to a colleague’s email and that became the name of the room, I didn’t see a way to edit the room name. I would prefer giving my rooms more descriptive names. My colleague and I could message back and forth in the room. If I was away from the Spark app, I received a notification on my desktop of any new messages. You can attach files and send them to people in the room. You can’t open the file and work on it collaboratively in the room though, you can only download a file someone sends you. Also, you can’t drag and drop files into other rooms—which could come in handy. Click on the video camera icon in the room to start a video call. Sound and imaging were fine in the app and you can rate the call once it’s over. You can share your desktop in a meeting, however, others can’t “drive” your desktop—it’s strictly to show what is on the desktop. You can tag rooms as favorites for quick access. If there is too much IM chatter going on, you can mute a room, too. There aren’t many configuration options. You can edit the mail associated with your account and add a profile picture. Other settings allow you to choose the mic and speakers you want to use as well as the camera and monitor. You can also select to send yourself call reports automatically. 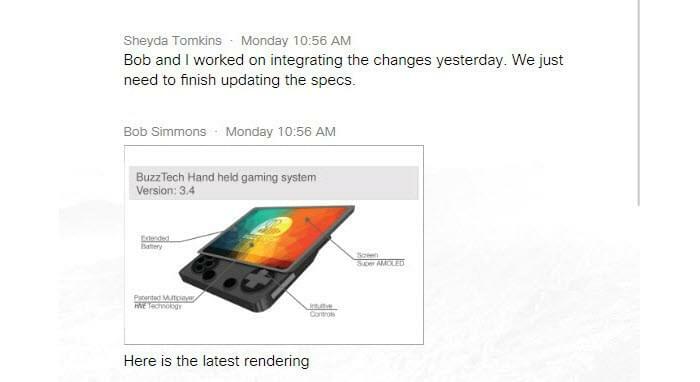 There is integration between Spark and WebEx. In fact, once you sign up for Spark you are already have a WebEx account. 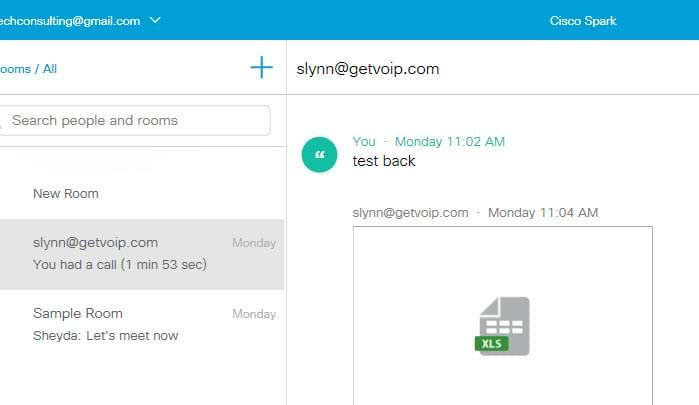 If you don’t have an existing WebEx account you will have a free account with a 14 days’ trial of some premium features. The free WebEx account does not provide full integration of WebEx with Spark. What is does is after a WebEx meeting ends, WebEx will create a Spark room for your future use with the WebEx meeting participants. At least, this is what Cisco Support told me. When I ended my test WebEx meeting, I did not see a new room in Spark nor was I prompted anything about a new room. To create or join WebEx meetings from Spark requires a premium WebEx account. In some ways I thought while using Spark, why would I use this when I can use WebEx? You can do more in WebEx: create whiteboards, launch high-def video meetings, let others share and control your desktop and more. 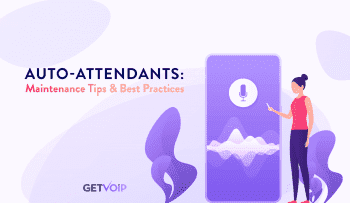 But rather than thinking of Spark as WebEx Lite, it’s important to remember what differentiates Spark is Instant Messaging with unlimited participants. You have a limit to WebEx meeting attendees depending on your subscription level. 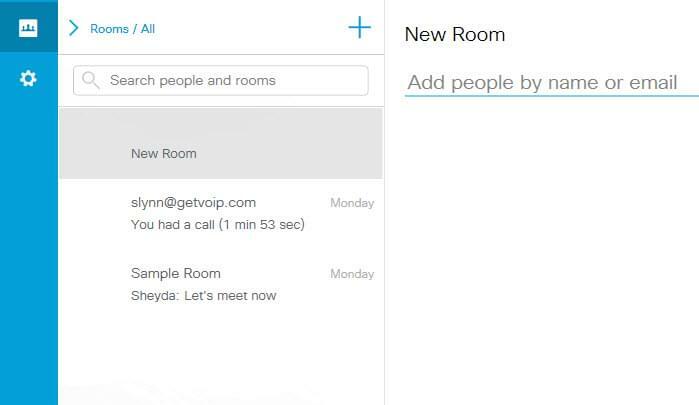 Also, the Rooms feature in Spark is a nice touch and a great way to organize your communications. Yet, are those Spark capabilities enough to lure WebEx users to also use Spark? Not likely, unless those users really want IM as part of their corporate communications. 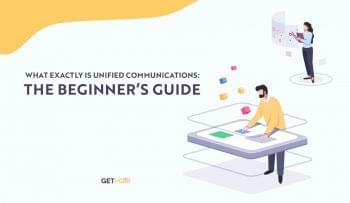 And Cisco has a lot of competition in this space from startups like Slack and others with IM and real-messaging solutions that also integrate with its own WebEx. 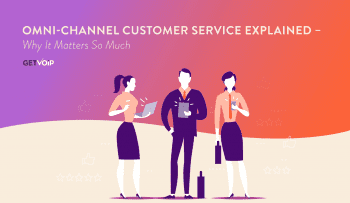 Cisco Spark provides what it advertises, business messaging, but it lacks a “Wow” factor especially since you still need a paid WebEx account to fully integrate the excellent WebEx.